The National Veterans Creative Arts Festival originated as two separate competitions. Muriel Barbour, then chief of recreation therapy at the McGuire VA Medical Center in Richmond, Va., created the visual arts competition, VET ARTS, in 1981, as an observance of the International Year of Disabled Persons. Shirley Jefferies, a recreation therapist at the Waco, Texas, VA Medical Center, initiated the performing arts competition, The National Music Competition for Veterans, in 1981. The premier live winners’ stage show was held in 1981 at the VA Medical Center in Tuskegee, Ala. The second show was staged in 1982 at the Coatesville, Pa., VA Medical Center. In 1984, the live stage show was presented in Washington, D.C., and the music competition was renamed “The Music Festival.” The following year, the stage show took place in historic Constitution Hall. The Music Festival and VET ARTS merged and drama and dance divisions were added, to create the National Veterans Creative Arts Festival in 1989. Designed to spotlight the four creative arts therapies of art, music, dance and drama, this landmark Festival was performed to an audience of 4,000 in the Fox Theater in St. Louis, Mo. In 2005, a fifth creative arts division, creative writing, was added to the Festival roster. 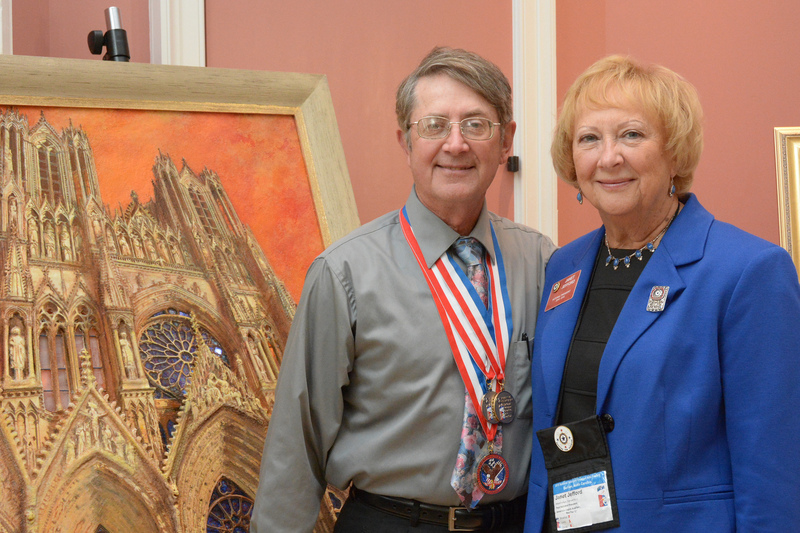 The National Veterans Creative Arts Festival continues to evolve each year as it showcases the artistic achievements of Veterans from across the country in each of the five artistic divisions. Each Festival features an art exhibit showing the first place artwork from 51 categories. A live stage show, complete with orchestral accompaniment generously provided by the Music Performance Fund, is performed by Veterans who have achieved medal-winning status in a variety of categories from the performing arts divisions of music, drama and dance, as well as creative writing. Workshops are offered during the Festival week for participants and staff, educating them in a variety of artistic modalities by utilizing the talents of local community artists. There is no competition at the Festival itself, as it is a showcase for previously judged medal winners. In 2016, 3,251 Veterans from 126 VA medical facilities entered the art, music, drama, dance and creative writing competitions. Of those, approximately 130 medal-winning Veterans earned an invitation to participate in the 2016 Festival in Jackson, Mississippi. In 2017, the event will take place October 23-29 in Buffalo, New York, and will be hosted by VA Western New York Healthcare System. Events open to the public are the Art Exhibit, Creative Writers Meet and Greet, and the Stage Show, all occurring on Sunday, October 29, 2017. The Department of Veterans Affairs and the American Legion Auxiliary present the 2017 National Veterans Creative Arts Competition and Festival, and it is also supported by many other organizations both locally and nationally.